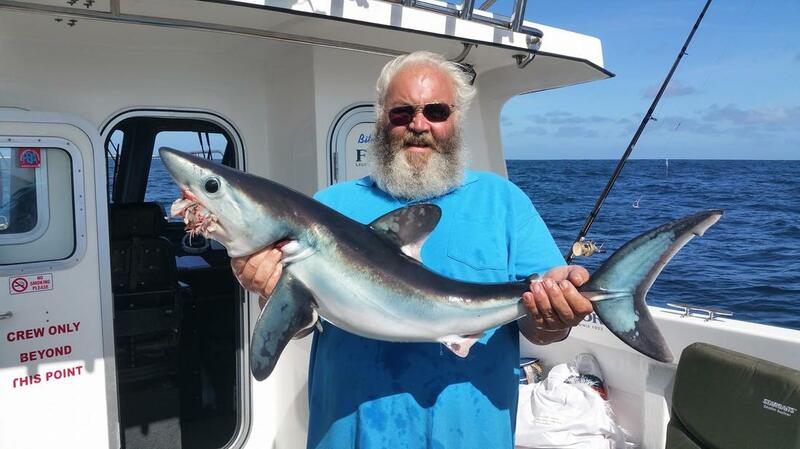 West Cornwall is home to prolific shark fishing grounds - the finest in the country. During these trips we steam between 8 and 15 miles to the grounds and stop the engine, leaving the boat to drift with the tide and wind pushing us across the bay. We use an assortment of top of the range Fin Nor gear and tackle. 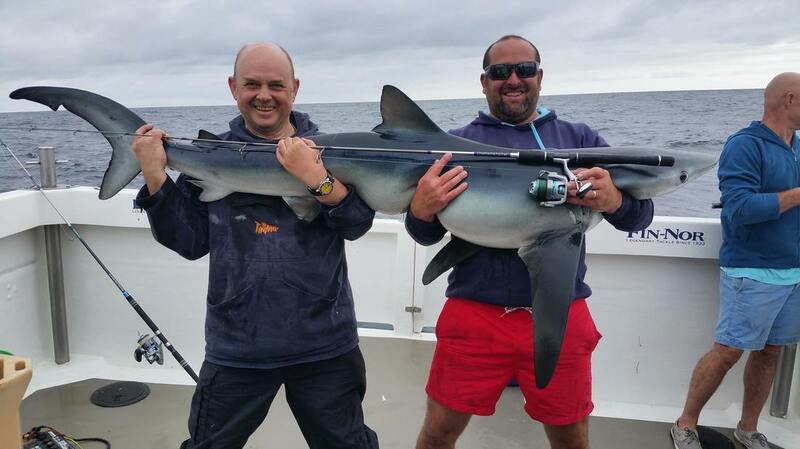 The poundage of the line is set up to suit the angler. 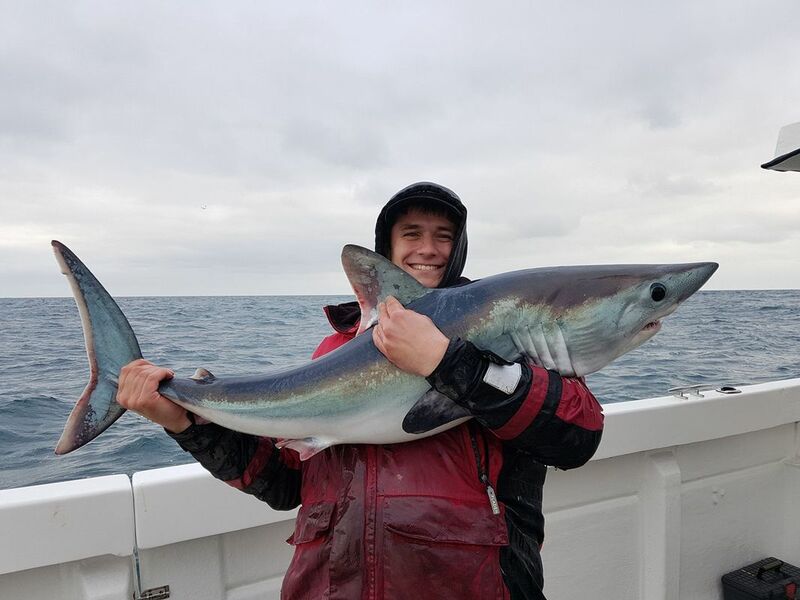 We regularly catch Blue Sharks, often over the 100lb mark, with the occasional Porbeagle Shark too. 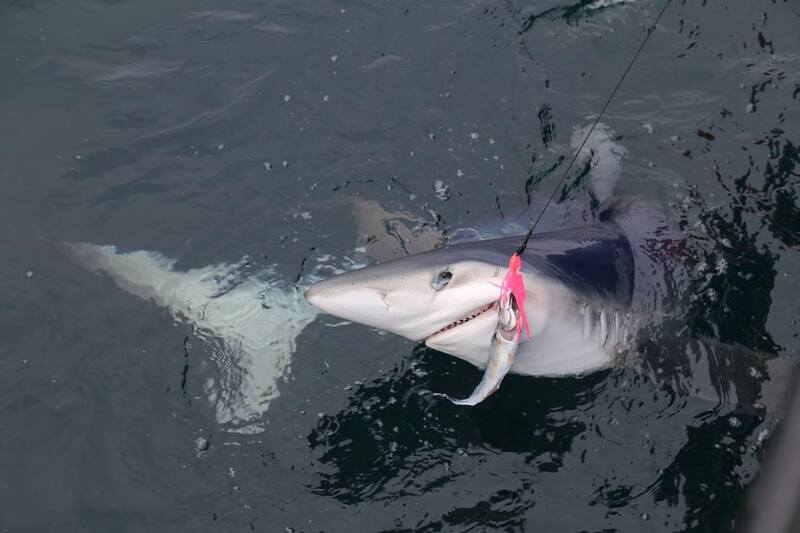 Thresher Sharks and Mako Sharks are also a possibility. We take the utmost care in order to minimise the stress to the shark using circle hooks with minimal barbs and handle fish on a wet deck. 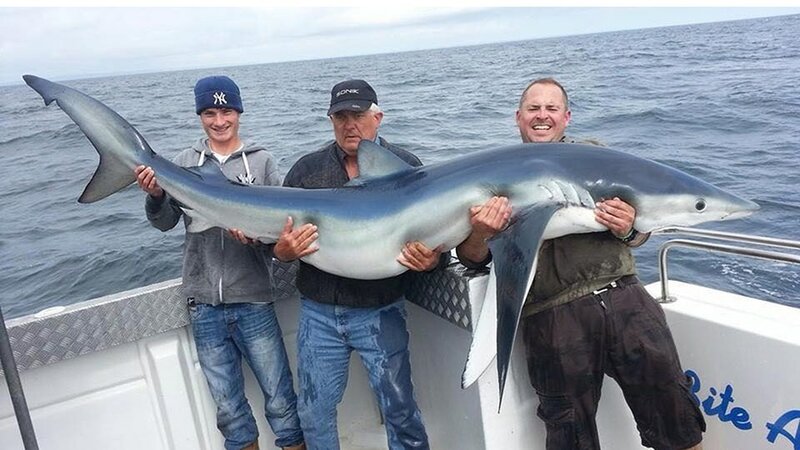 Every Shark caught has is released as soon as possible. We operate a strict Catch and Release Policy. This is usually an 8 hr trip, but longer trips can be arranged on booking. The normal departure time is 9am unless another time is arranged on booking. 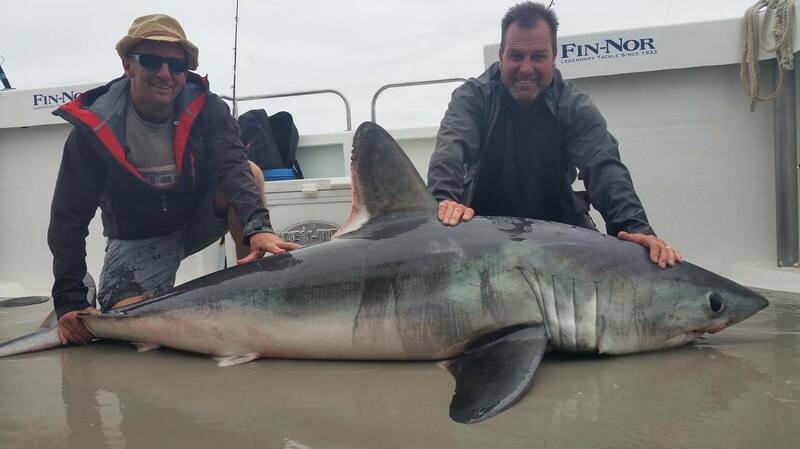 The 2015 season saw us catch 1004 sharks. Our best day has seen 112 sharks to the boat - that was an arm aching day! 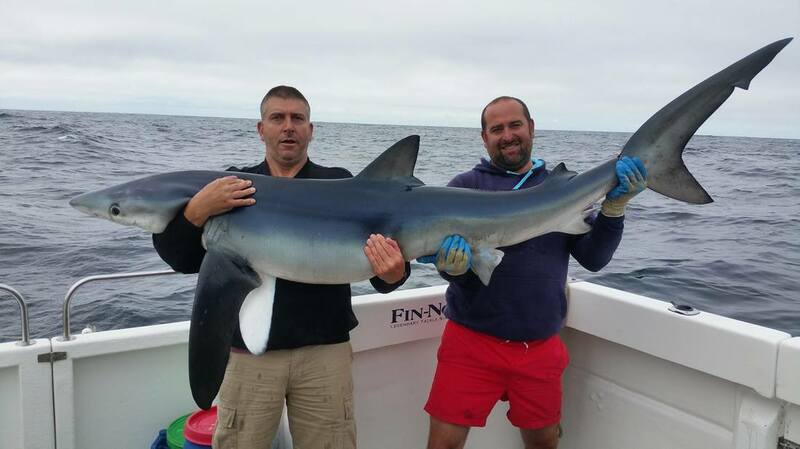 The 2017 season has been our best yet and Blue Shark numbers seem to be on the rise. 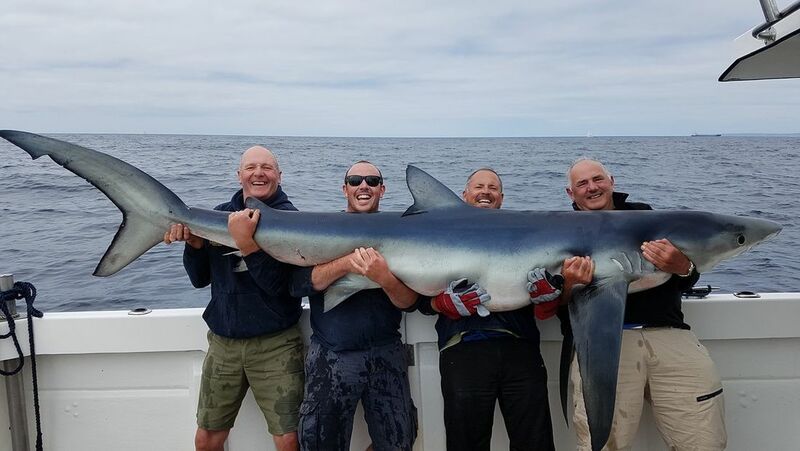 We have caught 1780 this season with many over 100lb, several over 150lb and topped off with a New British Record Blue Shark of 256lb for John Dines! 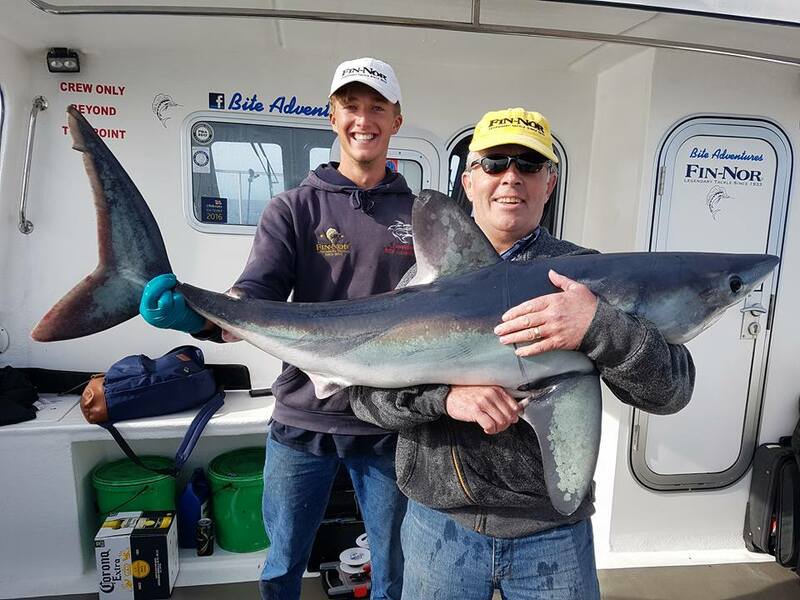 John's fish measured had a fork length of 106" with a girth of 44"! We hope for another top season in 2018. All of these were safely returned to the water following our strict catch and release policy. 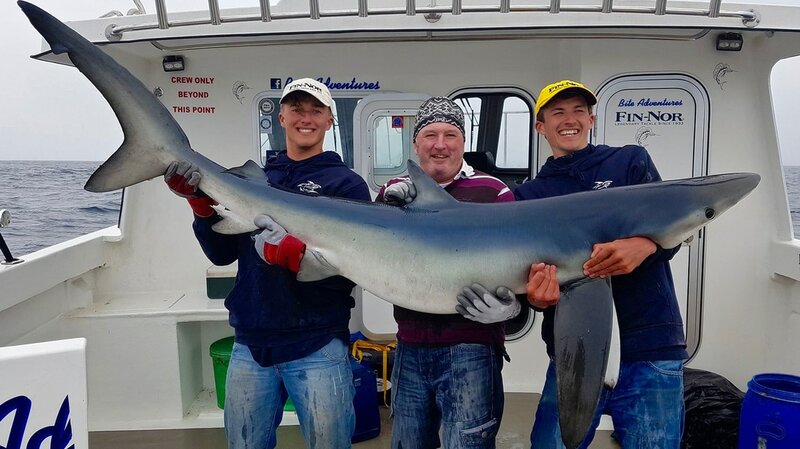 New British Record Blue Shark of 256lb (Length 106" and Girth 44") caught by John Dines on Bite Adventures - Summer 2017. The fish was released after this photo.